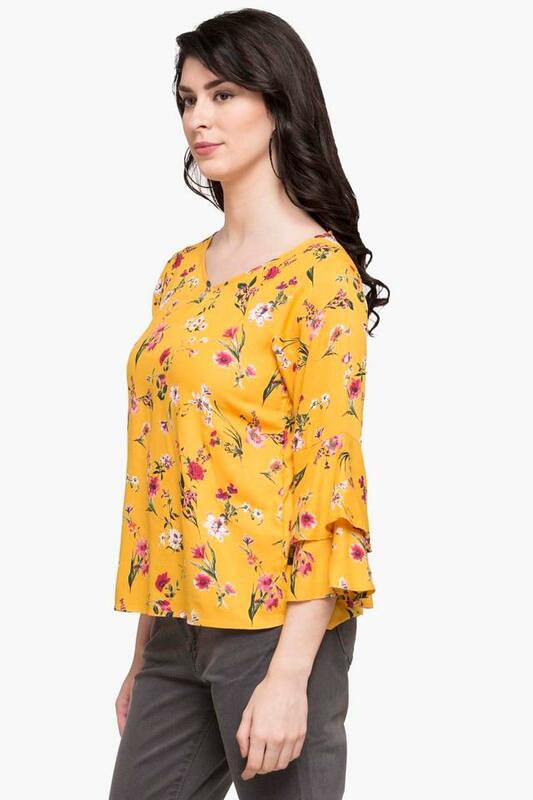 Get your wardrobe overhaul with this top from the popular brand, Fratini Woman. Tailored with care using fine quality, it promises to keep you at ease all through the day. 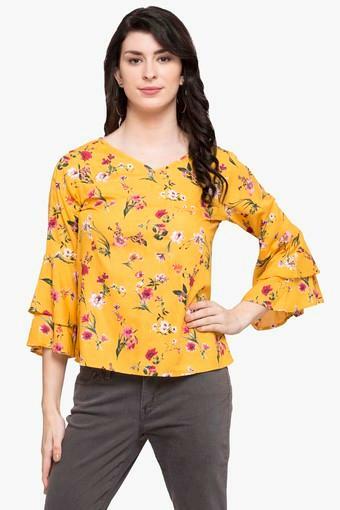 Besides, it features a print pattern that makes it look beautiful while the trumpet sleeves further give the attire some edge. 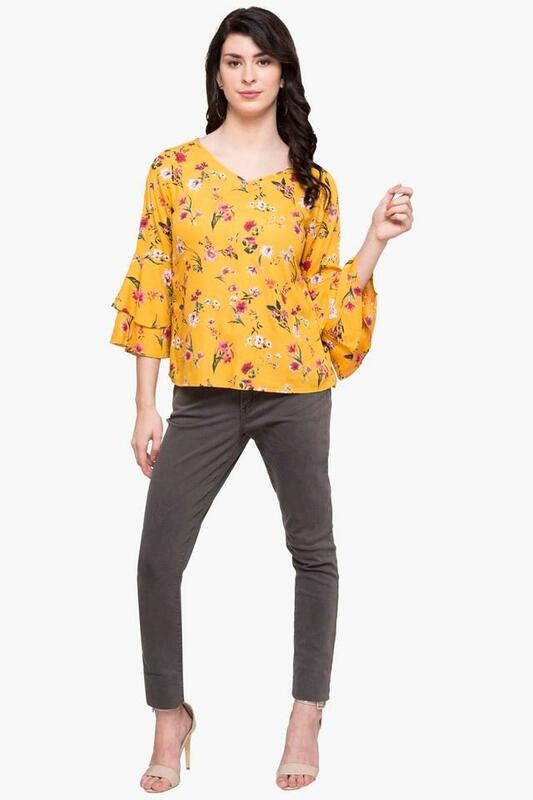 This printed top is all you need to pep up your style quotient. 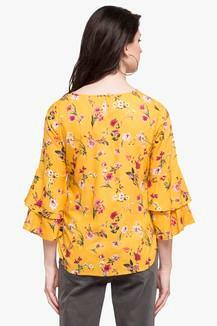 It can be matched with a pair of jeans and slip on shoes for any casual occasion.